Only 1 day left until the 2018 Melbourne Cup! Come catch the action LIVE at Meads and have a great afternoon of fun, friendship and food. Bring the family, we have a play area for the kids and plenty of big screen TV’s for the big kids. And we have a special menu on offer for the day. Choose from the Meads favorites and enjoy your day @ THE MELBOURNE CUP. There’s only 1 Day left, make your reservation TODAY! 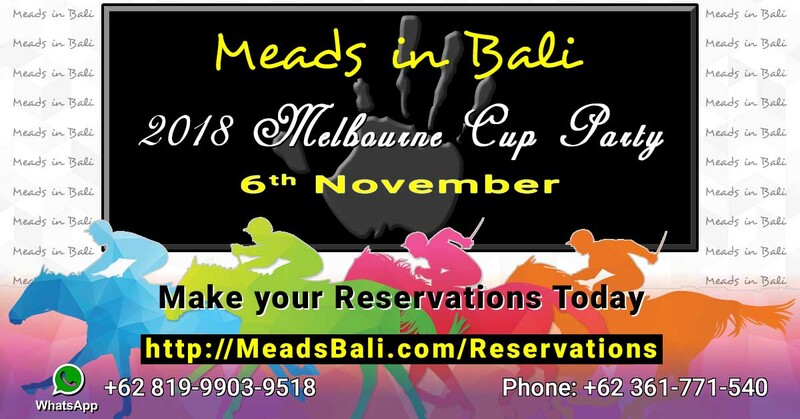 Where to watch the MELBOURNE CUP LIVE in BALI?